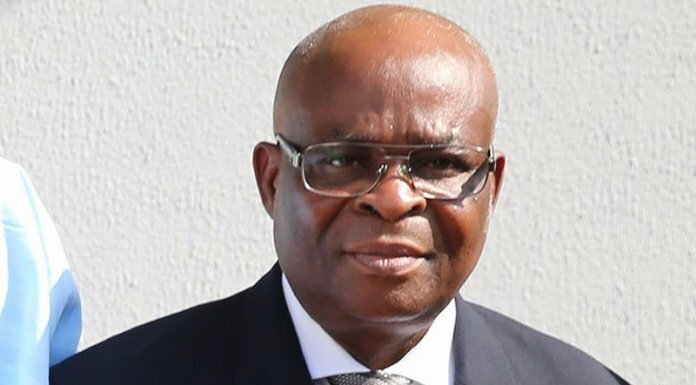 The Court of Appeal, Abuja on Wednesday refused to stay the trial of the Suspended Chief Justice of Nigeria (CJN), Justice Walter Onnoghen in the false asset declaration charges brought against him by the federal government at the Code of Conduct Tribunal (CCT). Justice Onnoghen had in a motion on notice asked the Court of Appeal, Abuja division to halt his trial at the CCT on grounds that the tribunal erred in law when it adjourned on January 14 to rule on both Onnoghen’s motion on jurisdiction as well as that of the federal government seeking for the tribunal’s order asking him to step aside as CJN pending the determination of the charges against him at the CCT. But in a unanimous decision in a ruling delivered Wednesday, the 3-man panel of the Court of Appeal, led by Justice Abdul Aboki, held that the prayers of Onnoghen that his trial be put on hold runs contrary to the provisions of section 306 of the Administration of Criminal Justice Act (ACJA) 2015. Justice Aboki, who read the lead ruling cited the case of Bukola Saraki, in which Justice Onnoghen himself at the Supreme Court declined to stay Saraki’s trial on the same grounds that section 306 of the new law did not permit a stay of criminal trials. According to him, there were no special circumstances in which Onnoghen’s prayer would be granted in the appeal argued by Chief Wole Olanipekun SAN. The Court of Appeal in the ruling, aligned with the respondent that the suspended CJN request for stay of proceedings ought to be refused. The court accordingly dismissed the appeal seeking to stop the CCT from taking further steps in the 6 count criminal charges filed against Onnoghen. Chairman of the CCT had on January 14, ruled to hear all motions that arose in the charges at the next adjourned date and give his ruling. However, Justice Onnoghen not pleased with the decision of the tribunal to take all motions together had approached the court of appeal to set aside the decision of the tribunal. His grouse was that the CCT ought to take his motion challenging the CCT jurisdiction first before entertaining any other motion. The three man panel having dismissed the request for stay subsequently vacated its temporary order issued on January 24 halting the proceedings at the CCT pending its ruling on Onnoghen’s motion. In a short ruling on January 28, Chairman of the CCT, Danladi Umar, had adjourned trial indefinitely in deference to the order of the Court of Appeal issued on January 24. Following the dismissal of the motion on notice, “the motion earlier granted is spent and the order is no longer in existence”, the appellate court held. Meanwhile, the Court of Appeal adjourned till February 4, for the hearing of the substantive appeal as well as the motion challenging the CCT jurisdiction. He is expected to respond to a six count charge of false asset declaration charges against the CJN upon his arraignment. Onnoghen is accused of failing to declare some funds in his domiciliary accounts with the Standard Chartered Bank, Wuse 2 branch, Abuja as at when due.